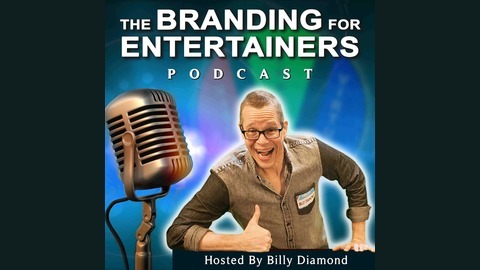 If you’re frustrated because you struggle in the entertainment business, then Branding for Entertainers podcast will help. If you’re looking for valuable insights into the most common and frustrating identity issues that both amateur and even professional entertainers face, then the BFE podcast will help you shine. Billy Diamond brings you practical advice and formulas to get people to remember who you are and keep them talking about your brand. 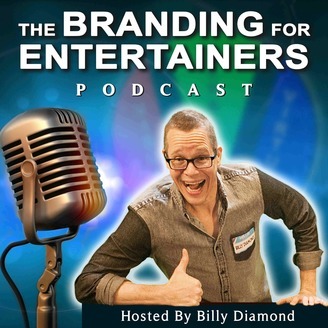 Billy and the world’s leading experts will help you polish your visual, verbal, and virtual identity so that entertainment buyers, agents, and your live audience will listen. Each episode is geared to help you get your message out, grow your business, stand out in the marketplace, and have a blast doing it!